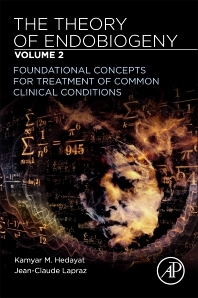 Theory of Endobiogeny, Volume 2: Foundational Concepts for Treatments of Common Clinical Conditions addresses the core elements of gastrointestinal health, the microbiome, and treatment options for common diseases. It offers an in-depth assessment into common disorders, an endobiogenic analysis, guidance on using biological modeling tools, and suggestions for treatment using standard of care treatments that also stress diet, lifestyle and medicinal plants. This approach is an evolution in thinking from reductionism to holism, offering advice for symptomatic treatments that can be used in conjunction with a new way of thinking about diseases and disease management.